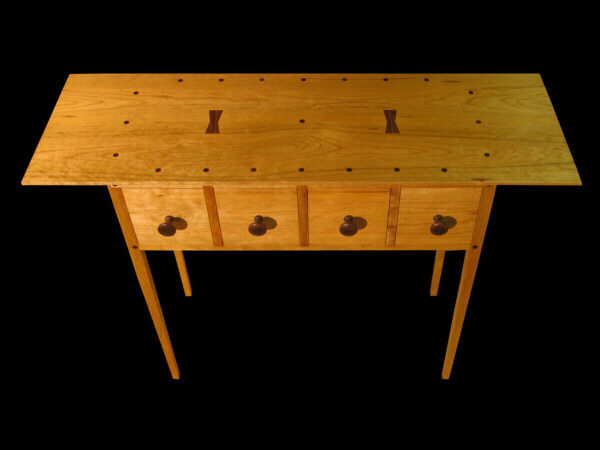 Here photos of my 4 drawer apothecary table. 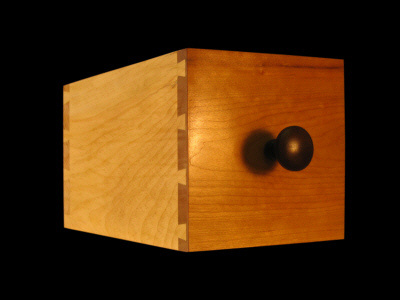 The cabinet casework is American black cherry. 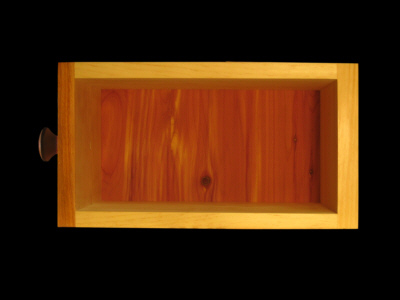 Drawer insides are either clear eastern pine or basswood. 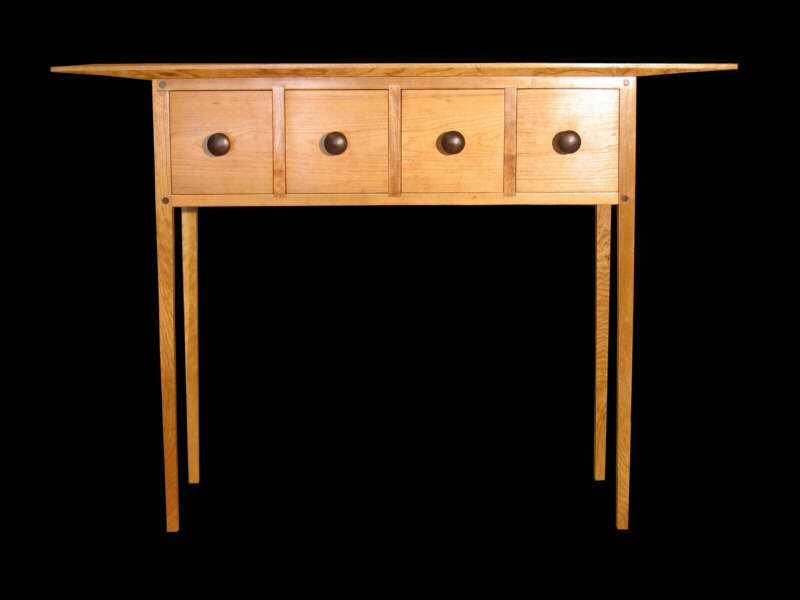 Drawer bottoms may be poplar, basswood or aeromatic red cedar. Top measures 14" deep x 42 3/4" wide. 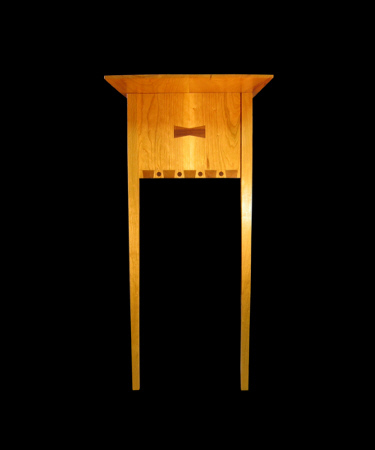 The cabinet measures 12"deep x 30 1/8" wide. Overall height of the piece 31". 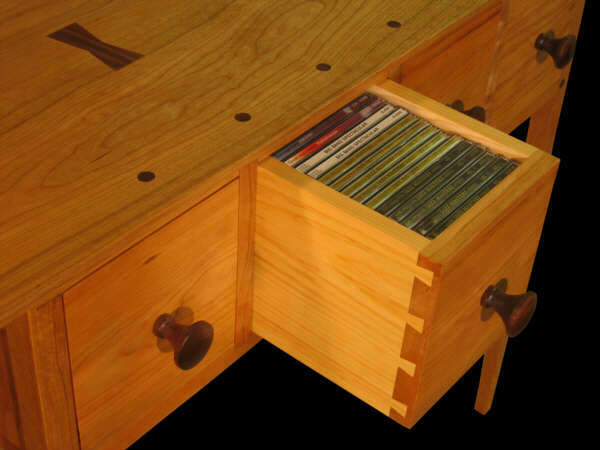 Drawers are sized to hold standard Cd jewel cases. Copyright ©2005 - 2008 Stan Pike Designs. 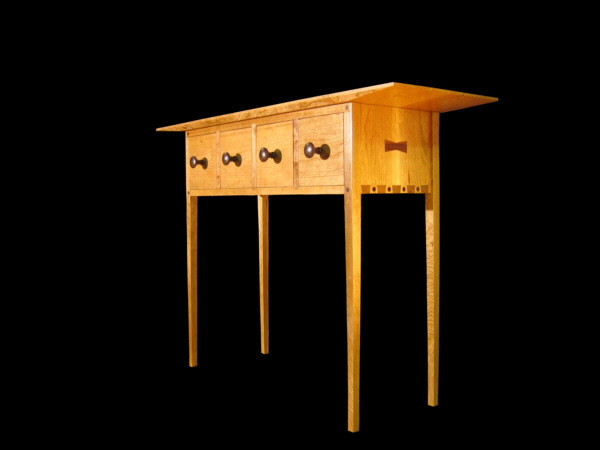 Pricing is determined by the size of the table/ chest, number of drawers and the woods used. The item pictured above is priced starting at $1400 depending on the dimensions + shipping. Please call if you have any questions.